It’s Halloween, and the time for tricks and treats is upon us. The scary time when the nights are a little darker; the trees wave naked, gnarled branches in mysterious ways; and the howl of a far-off, soulless creature could be getting closer. . . coming for you. With the creak of an old door opening into a pit of inky darkness, out leap the horrific monsters that seek to devour us all. Pranks and portents of something more sinister fill the air in a whirl of broomsticks and banshees. Pumpkin heads This year Congress declared that in the next few years, the Balanced Budget Act of 1997 will end the onslaught of federal debt. However, one of the cornerstones (or headstones) of that legislation is the expectation that the FCC will raise 20 billion bucks from more auctions. Congress did not explain who was going to pay this enormous sum, since the biggest players in the market have already made their purchases in previous auctions, or have been made exempt from auctions. So where are all these simoleons coming from? It must be magic. The undead In devising its orders for auction of 800MHz channels, the FCC created the possibility that unconstructed channels might be used as trading stock in frequency migrations. What the agency didn’t make clear is whether the trading licensees could use channels for which the construction period had run out, thereby automatically canceling those licenses prior to the trade time. It appears that the FCC thought you could bring these licenses back from the dead, as long as they were kept on ice in a spectrum warehouse. Vampires and double-crosses To avoid further debacles in defaults on installment payments, the FCC is attempting to eliminate this option for small business. The PCS Block C winners have sucked the lifeblood out of the federal government’s political marketing coup by failing to pay up promptly. To avoid the batty results that have followed this public nightmare, the FCC is warding off future problems by putting forth a double cross in denying legitimate operators this financing opportunity. Booby traps Congress opened up the door for the use of reserve bids in future auctions. 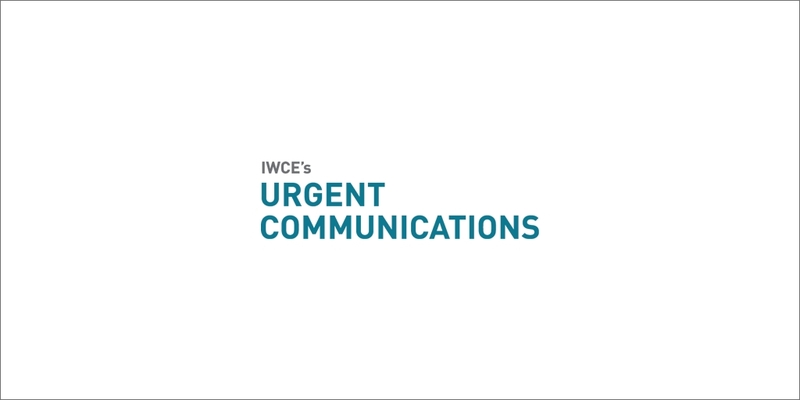 Rejecting the use of simple market economics and trying to preset a value for spectrum, Congress hoped to avoid repeating the embarrassing results of the Wireless Communications Services (WCS) auction. But did you know that the FCC doesn’t have to publish the reserve price on spectrum? Think you got a bargain at the auction? Gotcha! Fortune tellers The FCC has admitted, repeatedly, that prior to announcing an auction, it does not know whether there will be mutually exclusive applications. But the Telecommunications Act says that auctions are supposed to be used only where mutual exclusivity exists, and that the agency is to avoid incidents of mutual exclusivity, using all of the tools at its disposal. So, how can the Commission know in advance that mutually exclusive applications or bids or both will be forthcoming, unless the agency’s actions are really causing the problem? Somebody’s dealing off the bottom of the deck of tarot cards. Goblins Through a series of interesting maneuvers, the high-definition television (HDTV) spectral scene has become the digital television program. That six “megahurts” of spectrum that has been tithed to the political forces of the gobblin’ media is no longer simply for the delivery of HDTV. Now, transformed under the full moon, it is spectrum that can be employed for multichannel digital television. The intended investment in improved service to the public has quietly been morphed into greater system capacity, without concurrent benefits in signal quality. The icy fingers of the broadcast establishment are still firmly about the throat of Congress. Yes, some scary things are happening here in Washington, where the ghosts of logic and fairness wander the halls of Congress and the basement of the FCC, without a home and in fear of being permanently exorcised. The tricks outnumber the treats, and the advisors act like pod-people, without emotion, fear or compassion. One wonders when the people in the village will carry pitchforks and torches_and votes_to the castle of government to destroy the evil within. For now I simply point up the weird and unexplainable mysteries that surround the acts of government, priding myself on the fact that I got through this entire column without once mentioning the big blue bat.